Contract compliance and effective enforcement of contract rights concern every company doing business in China. Knowing how to check a Chinese company’s background and what essential elements should be included in your sales contract can help you minimise business risks and avoid making common mistakes in the Chinese market. This Guide identifies the key terms that you should consider when drafting a sales contract for exporting goods to China. It will provide you basic and practical insights into the contractual aspect of Chinese business, and help you evaluate the viability of contract arrangements with your Chinese business partners. In the first part of the Guide, you will learn how to check on business partners in China. In the following chapters, you will find out in details what provisions and terms to include in a standard sales contract. View the contents table and author bio below. For the full guide, click the cart and follow instructions for payment via PayPal, or credit card. Register on our website today and keep yourself updated with more China business intelligence. Pre-contract Stage: How to Check out Your Potential Business Partner? 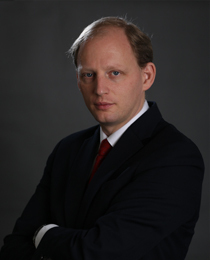 Maarten Roos founded R&P China Lawyers in 2010 and has since has received wide recognition from clients and from major legal rankings such as Legal500, Chambers, IFLR and Asialaw on the high quality of services rendered. Maarten advises and represents Dutch and western small and medium-sized companies and small multinationals with business interests in China, relating to investment, M&A, corporate, intellectual property, tax, and dispute resolution. Besides his position as Managing Director of R&P, Maarten is also Arbitrator of the Shanghai International Economic and Trade Arbitration Commission (SHIAC) and is an EMBA lecturer at Jiaotong University. In September 2010, Kluwer Law International published Maarten’ first book “Chinese Commercial Law: A Practical Guide”. This important publication offers practical insights to Chinese law and practice for international companies that trade with or invest in China and has been adopted as mandatory reading in courses on Chinese business (law) all over the world. Maarten also regularly lectures in China and abroad on a broad range of topics. Ludmila has been involved in legal consulting on international investment and cooperation for more than 17 years. She is now in charge of providing legal advice on foreign investment and import to China to European SMEs looking to establish themselves in the Chinese market. After working as a legal counsellor for multinational corporations, international organisations and projects in Europe, Ludmila Hyklova spent several years in China working for a European financial group, where she managed the legal and compliance department during its business start-up and later during its business development. She acquired broad knowledge and experience especially in foreign investment law, company and contract law, labour law, and tax law.